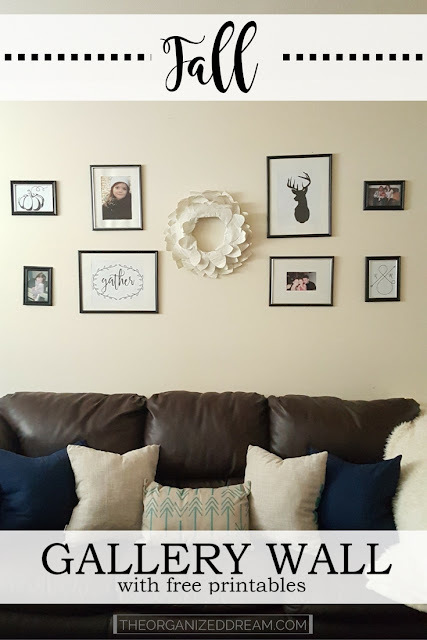 I recently decided that a gallery wall in my living room is just what the space needs and so I was off to Pinterest for inspiration. I haven't fully decided yet on exactly what I'm going to put on the wall, but these five ideas are my favorites so far. 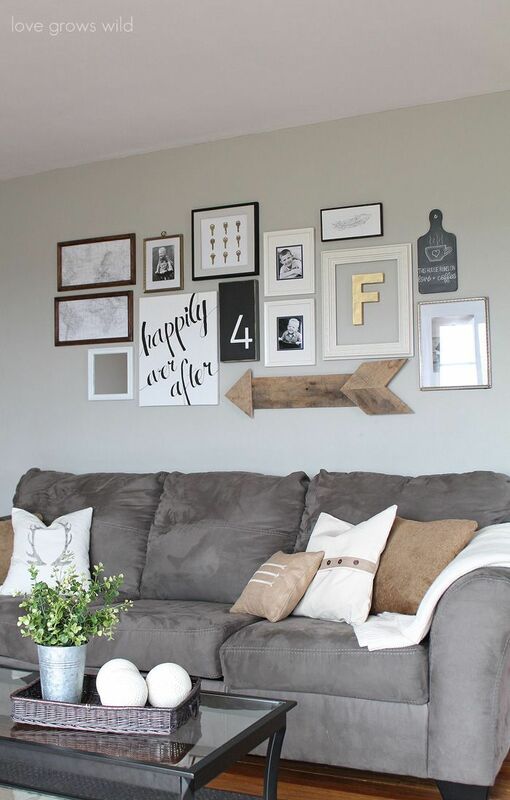 I love this gallery wall because of it's random items that all seem to work together perfectly. I love the monogram and the family sign most. I do feel, however, that this would look better in a hallway or entryway rather than above a couch. 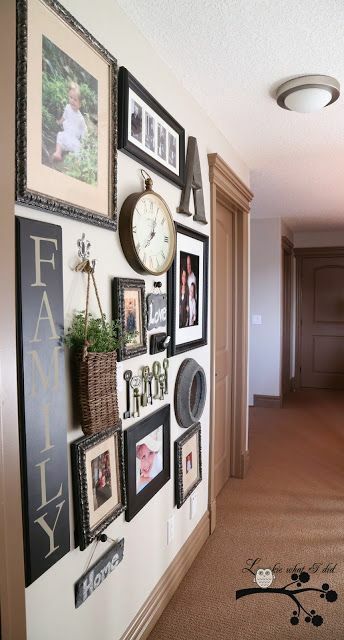 I really like this wall set because it has the same color scheme I'm looking for and I love the rustic look of the arrow. This is one of my favorites because of how cool it looks. The colors are bright which would work perfect in my dim living room and that monogram is awesome! Because I'm not sure of what I want to place on my wall yet, the possibilities could include something black and white with pops of color in a pretty picture such as this floral print. I love the look of this. It's simple and classic which may be the route I end of going, but there are so many options, I have yet to fully decide. If I were to go with something like this, I would have white frames and matting for sure! Thanks for stopping by this Friday! Have an awesome weekend! Check out my latest gallery wall! Score 4 free printables, too! 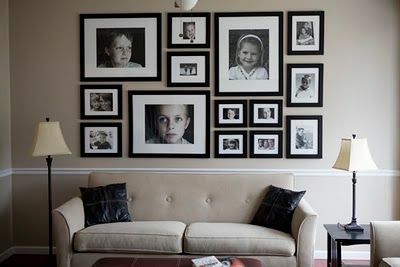 I've been looking for some ideas for a gallery wall. #3 is my favorite. Thanks for sharing. Thanks for saving me some time! I'm about to create a gallery wall in my newly renovated powder room and was going to go searching for some online inspiration! I love this roundup! I needed some inspiration! 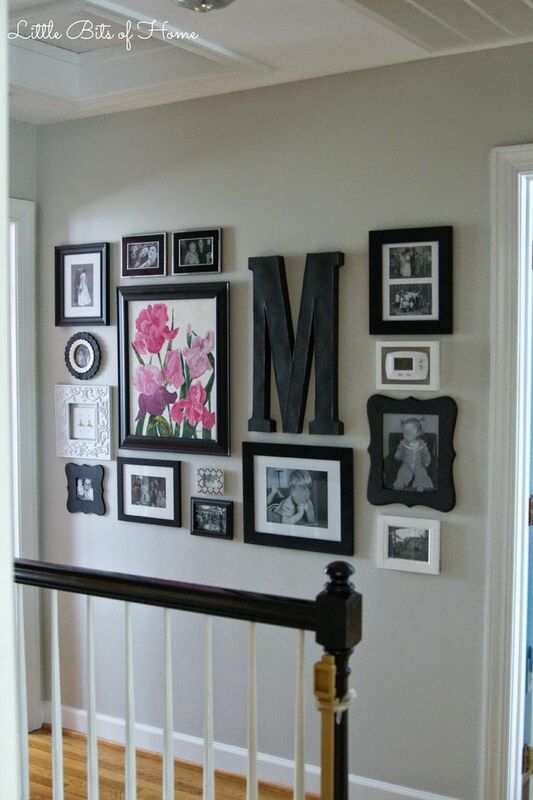 I am trying to create a gallery wall with all DIY decor and family pics! Your roundup has given me some great ideas! Oh and I am dropping in from Merry Monday Link party! I am so happy that I clicked your link! Pinned it! I love all of these. They are definitely my style! Thanks for linking this at the Sunday Features Link Party!!! We just moved, and I'm trying to decide what to do with the walls! This is perfect! :-) Pinned! 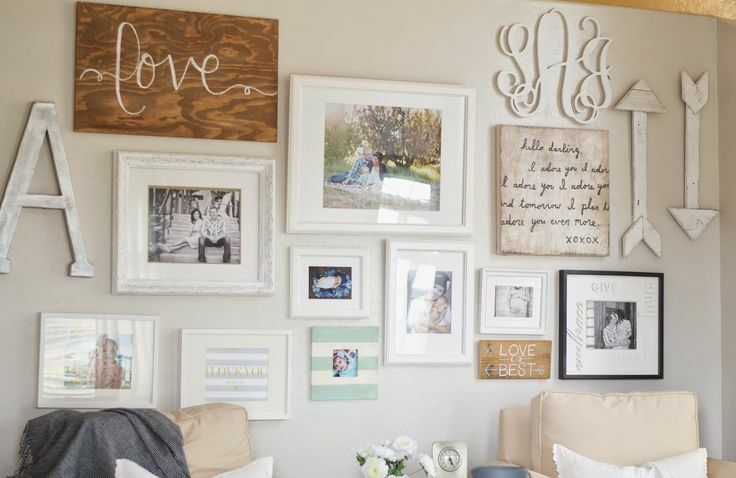 I love these gallery walls - Thanks for linking up to Pin Worthy Wednesday, I have pinned your post to the Pin Worthy Wednesday Pinterest Board. Looks delicious - Thanks for linking up to Pin Worthy Wednesday, I have pinned your post to the Pin Worthy Wednesday Pinterest Board. Some lovely inspiration in this round up. I'm always looking for ways to fill my walls. Thanks so much for linking up to Thriving on Thursdays. Hope to see you this Thursday! I have a HUGE wall above our stairs I've been meaning to "gallery -itize" forever. (I even bought the frames... a year ago.) Thanks for the inspiration to finally GET IT DONE! (And thanks for linking up at share the wealth sunday!